Putin Controls The Light Switch??? And I was suddenly wide awake. Russia interfered with our election in 2016. That is no longer speculation … that is fact. But guess what? That isn’t all they are capable of doing. To put it simply, if Russia so chose, they have the capability to shut down our power grids, water systems, air traffic controls and more. U.S. Intelligence agencies have been aware for a year and a half that the Russians had this capability, and last June issued warnings to utility companies. The latest information comes on the heels of Trump finally imposing the sanctions against Russia that were unanimously passed by Congress last year. Could these sanctions be the ‘political motivation’ of which Mr. Chien speaks? The groups that conducted the energy attacks, which are linked to Russian intelligence agencies, appear to be different from the two hacking groups that were involved in the election interference. That would suggest that at least three separate Russian cyberoperations were underway simultaneously. One focused on stealing documents from the Democratic National Committee and other political groups. Another, by a St. Petersburg “troll farm” known as the Internet Research Agency, used social media to sow discord and division. A third effort sought to burrow into the infrastructure of American and European nations. Russian cyberattacks surged last year, starting three months after Mr. Trump took office. American officials and private cybersecurity experts uncovered a series of Russian attacks aimed at the energy, water and aviation sectors and critical manufacturing, including nuclear plants, in the United States and Europe. In its urgent report in June, the Department of Homeland Security and the F.B.I. notified operators about the attacks but stopped short of identifying Russia as the culprit. By then, Russian spies had compromised the business networks of several American energy, water and nuclear plants, mapping out their corporate structures and computer networks. In an updated warning to utility companies on Thursday, Homeland Security officials included a screenshot taken by Russian operatives that proved they could now gain access to their victims’ critical controls. Rather like the hacking of our 2016 elections, which the intelligence community informs us is ongoing and is expected to affect the mid-terms this November, our response to this situation seems rather tepid. The sanctions Trump imposed yesterday fell short of those that had been passed by Congress last year. Trump finally joined our allies in stating that Putin was in all likelihood responsible for the chemical attack on a former Russian spy and his daughter in the UK, but it took him two weeks. Will he instruct our intelligence agencies to actively pursue these hackers? Can the agencies act without his blessing? If so, will they? These are questions whose answers are beyond my field of knowledge, but I think they are important for us to ask. 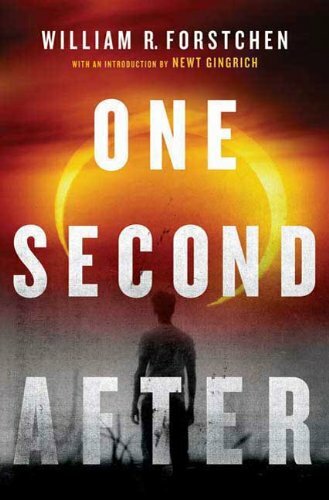 If you haven’t read One Second After by William Forstchen, I highly recommend it. I read it a few years ago, and while I did not write a review, I did write another post in January 2017 that summarized the book and touched on the “what-if” of an enemy effectively shutting down our power grid. While I am not an alarmist, I do recognize there is potential for disaster here. The potential has been there for a while, but I ask you this: Do you actually trust Donald Trump to do everything in his power to stop Russia from interfering in our elections, or even worse, from causing infrastructure disruptions likely to cost millions of lives? I don’t. His promise to “keep America safe” is naught but hot air. It is time he step up to the plate, or else step aside and let somebody else bat. And on that note, I shall now go to bed and try to sleep. This entry was tagged cyberattacks, Department of Homeland Security, Donald Trump, Russian Hackers, U.S. power grids, water supplies, William Forstchen - One Second After. Bookmark the permalink. Again, no need for an apology – just do the best you can and take care of you! Hugs! It would not be a wise move by Russia to actually do this as the fingers would start pointing at once. The one aspect the Kremlin would be wise to consider is this. Whereas there are many wealthy Russians with many fingers in many pies, Moscow is not a financial capital, nor does it have the financial resources to wage ‘financial influence’ war, such as Western Nations can (and incidentally Saudi Arabia and Iran are building up these capacities). It has a rather fragile economy and would have difficulty surviving when isolated…China’s got the message. For once your Pres had to act, a fellow NATO member was attacked…..
Hmmmm … under normal circumstances, it would certainly not be a wise move on the part of Russia. But then, under normal circumstances, hacking our election would not have been a wise move. But, perhaps if you have the leader of that nation in your back pocket, wisdom is a relative term? Mind you, I don’t think Russia would shut down our electrical grids, but … I think they are not beneath using that threat to keep a certain Donald Trump in line. And … perhaps of equal concern … once the capability exists, accidents can happen. And, what is to stop some rogue individual with a bone to pick from ‘accidentally’ pressing the wrong sequence of keystrokes? You are right that Russia isn’t a financial capitol … which is partly why I believe Putin is looking to ‘expand his empire’. He’s made no secret of the fact that he would like to rebuild the Soviet Union. And another thing that I wonder … given that Trump seems to be working very hard at alienating all our allies with his “America First” policy, if Russia did make a move such as that we are speaking of, would our allies be in any big hurry to help us, to rush to our defense? Today, I think they would, but … in six months, after Trump imposes even more tariffs and does whatever other harm he can to our relationships? Comes a time when even the best of friends finally says, “Bye … see ya”. The Grimm brothers themselves couldn’t have scripted this much better! WE shall see. Maybe Putin will overreach himself….and they’ll both go down. Hubris and all that. But anyway all this international play is way above your guy’s head, and he’s just got rid of Tillerson, who at least had an idea of what it was all about. Ever heard of the film Idiocracy Jill? I have now! Hmmmm 🤔 🤔 I wonder that movie hasn’t made a comeback this year, as certain books like 1984 and Brave New World have? With Trump, we have certainly ‘dumbed-down’, not only the presidency, but also the legislature and the citizenry. Can it go lower? Apparently so. Hmmm … I’m picturing “da Fonz” from Happy Days as prez. Nah … come to think of it, he had street smarts, putting him ahead of Trump already. Apparently someone did reference the film during the election. Deep down The Fonz was a good guy, it wouldn’t have been so bad. You’re right … he had a good heart, but just liked his ‘tough guy’ image. Trump likes to think he has a tough guy image, but his always reminds me more of the Pillsbury Dough Boy after a week of heavy drinking and having been left out in the sun for a day or so. You are quite right … it DOES matter, and it damn sure is NOT funny. I wonder how much sales of aspirin and antacids have increased in the U.S. in the past year? I am so trilled that this cat has been let out of the bag. DHS exposure about Russia’a attempt to penetrate US power grids. There needs to be a wake up call for all Americans that these Russian attacks are to be taken seriously. And this is why I contend that US sanctions against Russia have to strengthened. There is a 6/20/18 Wired Report by Chris Merlow that I almost blogged on on what Russia did to Ukraine folks where all of a sudden on one occasion, 230,000 peoples were without power. peoples were even blocked from calling into call centers to inquire about the outage. There have been more incidents like this. Thank you for that information, Gronda! I knew of the cyber-attacks against the Ukraine, but not the details. Like you, I am glad to see this openly reported, for now it cannot be swept under the rug. I hope this news is a wake up call for everyone. It’s as if we are living in the midst of a really bad science-fiction movie, only we cannot seem to leave the theater. Thanks again for the info from the Wired article! Hugs!! For sure, my friend. You’ve heard the saying that ‘truth is stranger than fiction’? Sigh. Good grief, Jill – this is the scariest news I’ve seen in a while. It would be frightening if we had someone competent in the White House, but having Trump there instead does not bode well as he is clearly a Russian asset. Yes, it is frightening, and you are right … Trump is dangling at the end of Putin’s puppet strings, so he will not move to address this. I’m not sure what can be done, but I am pretty sure somebody could come up with some ideas if given half a chance. Trump, however, has refused to even authorize steps to be taken against Russia for the election hacking, past and future. We really need to expedite his departure from the White House. Even Pence, I believe, would have the good sense to understand what is happening and what the potential for catastrophe is. Sigh. Hugs, dear friend … sorry I’ve been off the grid for a couple of days … working on getting back to par.